Readers ages 12 and up will think twice about wanting to disappear—leaving their lives behind and starting over—after reading Ashley Elston’s debut book The Rules for Disappearing. Megan Jones has had enough of starting over. She is done with memorizing scripts, pretending, dodging questions, achieving anonymity, making new friends—done with the black suits of witness protection. She is also done with watching her back—but it seems the watching is not done with her. What she is not over is searching for the truth. She is willing to do anything for the truth; she believes it is the key to her freedom and her family’s sanity. When she finally finds the truth, she discovers just how unprepared for it she is. 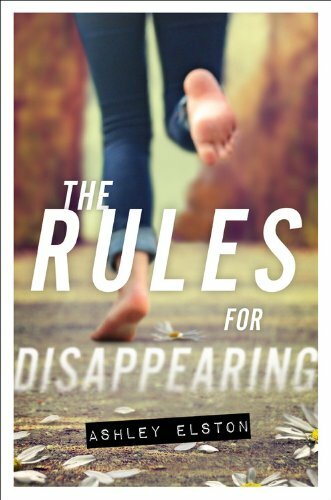 The Rules for Disappearing is a story that young adult readers can relate to because Meg is trying to balance home, school, and work along with all of the responsibilities that come with protecting herself from the unknown enemy and the known enemy. The known enemy, Emma, at Natchitoches High School, is as fierce as the unknown one that threatens her life. As the story unravels, the reader sees Meg waffle between what she feels she needs to do to protect others and what she needs to do to protect herself and her family. To accomplish both successfully will take bold courage and trust. It is not a mission she can accomplish alone. Will she? And if not, will she survive? The Rules for Disappearing is hard to put down. Janette M. Denil, MATC, is an Illinois and Wisconsin professional educator in language arts and social studies. Ms. Denil is a reviewer of fiction (historical, fantasy, mystery) and nonfiction for young adult and adult readers.